As Samford University’s homecoming kicks off, there’s more than just events for alumni. While homecoming is about alumni coming back to campus to visit their alma mater, there also are various events for current students. Samford’s 2017 homecoming is Nov. 9-12, but student activities begin to take center stage on Thursday. 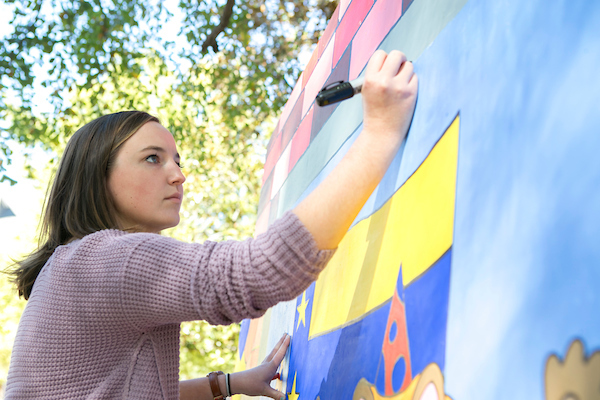 Throughout the week, 14 sororities, fraternities and other campus organizations have been participating in the creation of unique homecoming boards. There will be first, second and third place winners announced at the football game. Another activity for students this week is the Bulldog Bash on Thursday at 6 p.m. in Ben Brown Plaza. There will be a food truck from Melt, treats from Sodexo and music. A pep rally be part of the festivities, and the Homecoming court will be presented. Samford President and Mrs. Andrew Westmoreland will be there to crown the new Homecoming King and Queen. A Cappella Choir will lead the homecoming vespers service Friday at 5:30 p.m. in A. Gerow Hodges Chapel. The monthly service will include music, scripture and other liturgy. The Mann Awards for Leadership and Character will be presented Saturday to 11 students selected by deans and administrators. The annual ceremony, hosted by the Mann Center for Ethics and Leadership, will be at 10:30 a.m. in the Pete Hanna Center Hospitality Suite. Students will have other opportunities throughout the weekend to interact with alumni, parents and other friends of the university who are on campus for events.